The Best of Teacher Entrepreneurs II: CONJUNCTIONS! Grade 1 Worksheets PRINT & GO 33 Pages! 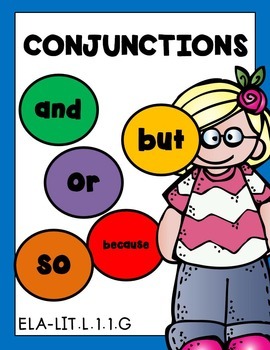 CONJUNCTIONS! Grade 1 Worksheets PRINT & GO 33 Pages! Grade 1 Worksheets PRINT & GO 33 Pages! AND, BUT, OR, SO & BECAUSE are covered in this unit. Use frequently occurring conjunctions (e.g., and, but, or, so, because).